We can recommend great places to study public relations, and then help you get the experience, achievements and practical knowledge employers are seeking. 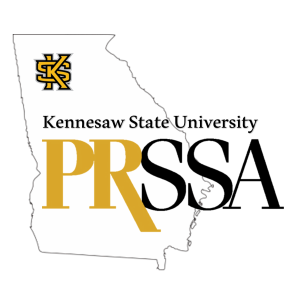 PRSSA offers internship listings, competitions, and Chapter and National leadership opportunities; scholarships and leadership awards; and publications, news and social media to keep you updated on industry trends. PRSSA can connect you to lifelong opportunity, experience and professional growth. Develop valuable relationships with future colleagues through PRSSA National and regional events, PRSSA Chapters, PRSSA social media or Chapter and National leadership opportunities. Meet current professionals at your PRSA sponsor Chapter, through the Champions for PRSSA or by searching the PRSA member directory. As a PRSSA member, you can use the PRSA JobCenter to find public relations employment opportunities all over the world. You also may join PRSA for just $60 a year as an Associate Member when you graduate, connecting you to 110 Chapters, 16 Professional Interest Sections, and resources especially for new professionals.